With more than 300 brands showcasing products new and revamped, everything can seem like a blur if you don’t have the right filter. Here are a few things that got my attention while making the rounds on opening day. Moto Sapiens picked up on this tidbit through the grapevine a year ago in Tokyo, Japan. 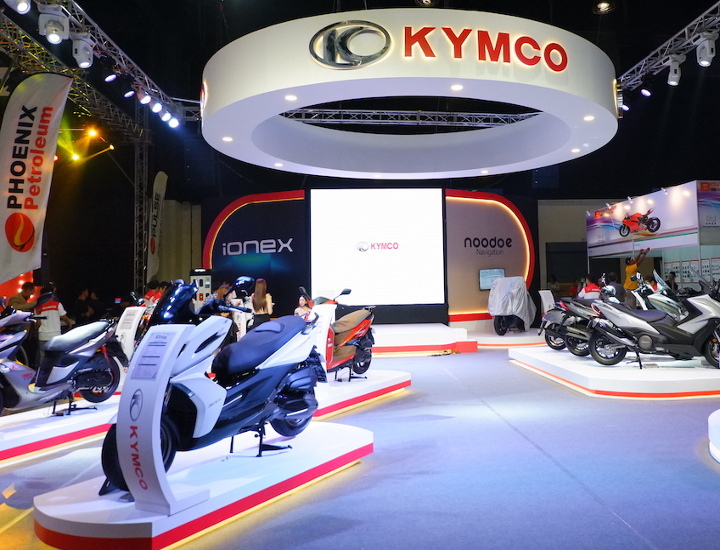 Ionex, Kymco’s full system of e-scooters and energy stations, is now poised for mass entry into the country. According to Kymco Philippines, all it’s waiting on is a green light from the Manila Electric Company (Meralco), a major distribution partner for Ionex’s power supply. If Meralco signs off on the deal (Kymco is optimistic that it will), the Philippines will be the first Southeast Asian country to have the Ionex system in place, and each Meralco branch within Metro Manila will get an Ionex energy station and an e-scooter (for service use). 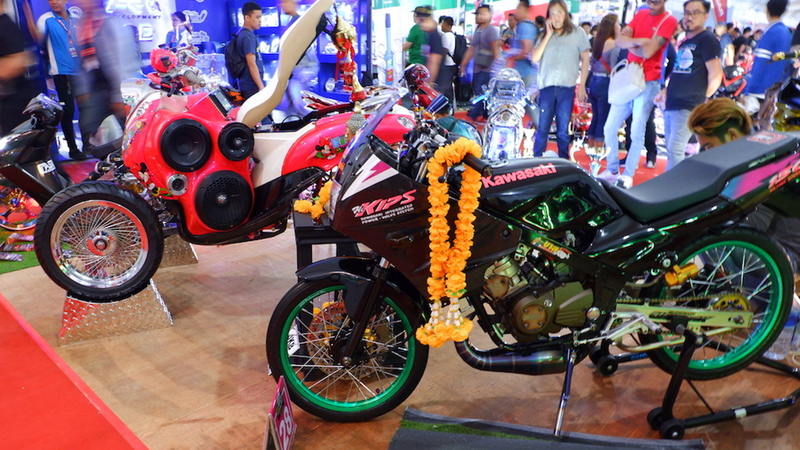 Kymco will then start making its e-scooters available locally at a mass-market level, with the hope of gradually expanding its network outward from its Metro Manila base. The future is electric (right, Meralco?). 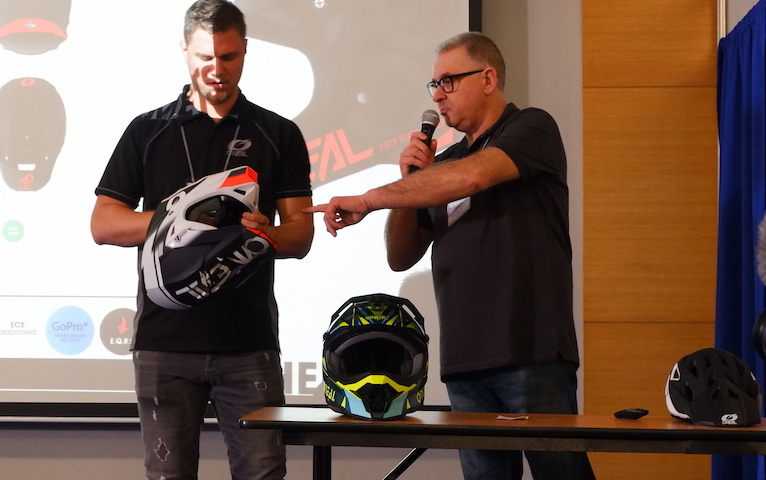 At the 3rd Motoworld Product Conference, O’Neal introduced its new 5SRS and 3SRS helmets to the Philippine market. Both models meet ECE 22.05 safety ratings and are compatible with O’Neal’s new IPX ACells. Eleven of these spinning, squishy green foam cells (the same size as the new P5 coin) are strategically placed in the 5SRS helmet and can be added to the 3SRS helmet. Since the cells are malleable and mobile, the force of an impact transfers to them and the surrounding foam, instead of your noggin. 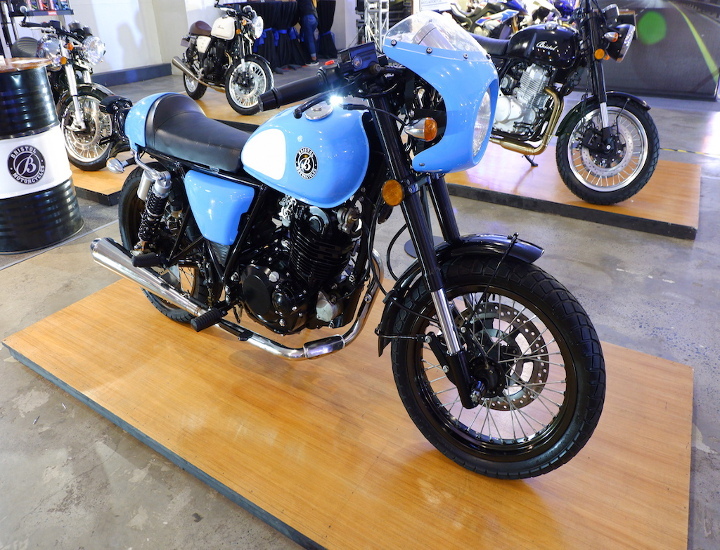 That’s good news for any dirt rider who likes to blast through jungle trails in style. Added bragging rights for the 3SRS is that it’s the only motocross helmet in the world that uses the magnetic Fidlock buckle. The specially designed closure system allows you to strap and unstrap the helmet with one hand, even with gloves. The magnet does the rest while you focus on those sick lines. Ah, the French. They bring to us art, fashion, and those incredibly delicious croissants. Now, they come bearing riding gear in the form of IXON. Established in 1996, IXON has been making a name for itself as one of the few manufacturers that produce high-quality custom leather suits and airbags for MotoGP riders (three of its riders are currently in the 2019 season lineup). True to its word, IXON presented a men’s leather riding suit with a fully vented front and a removable polyester lining that can be thrown in the wash after use. The male model donning the suit appeared about 5’5” tall, and the suit not only looked like a damn-near custom fit, but also had the CE-approved padding correctly placed on the shoulders, elbows, knees, and hips. IXON’s core range of products for the country will have leather suits (one- and two-piece versions), textile pieces, gloves, and boots for men. Ladies, there is a glimmer of hope for us as well. Included in the IXON core range are a textile jacket, gloves, and shoes for women (yaaas!). 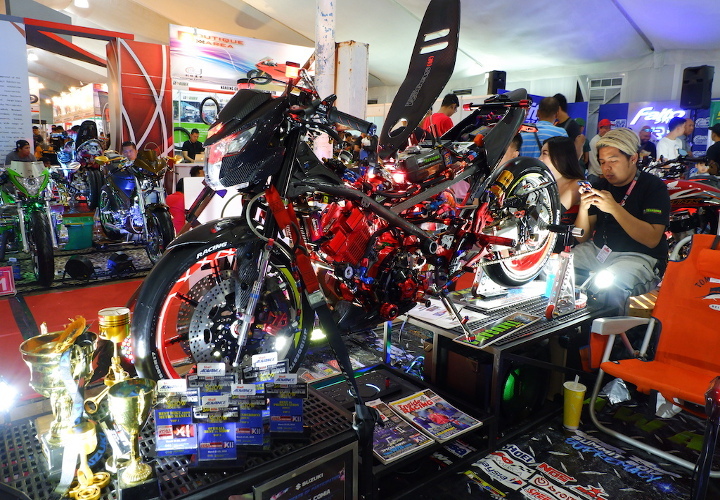 In short, there were many exciting points of focus at the Inside Racing Bike Festival (and we couldn’t have covered everything in one day even if we tried). 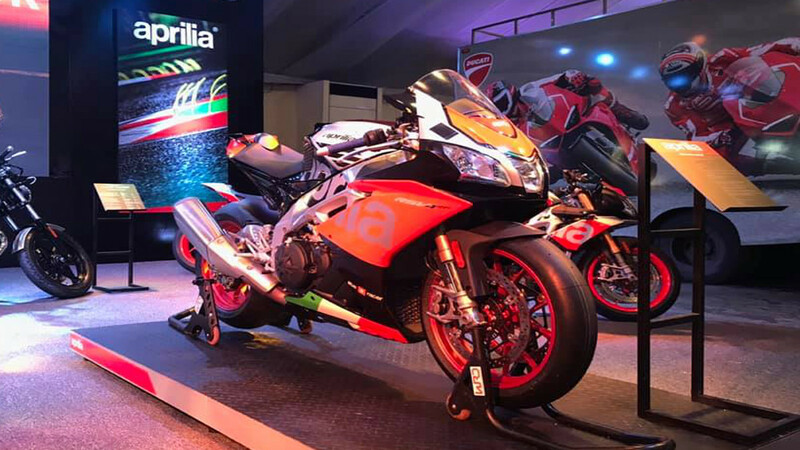 Great new bike tech, brand-spanking-new gear with serious safety ratings, and of course, newly released bikes. But I can’t quite shake the feeling that the event’s target is 99.9% male. I searched high and low, but it was slim pickings for the lady rider. If there are any organizers and manufacturers out there reading, we’re here and we have matches ready to burn our pockets (shout out to IXON for having something for us, too).